Contact customerservice@aamanet.org for publication order assistance. Members and non-members must pre-pay all online publication orders by credit card (Visa, Master Card, American Express and Discover). AAMA members may be entitled to a discount on Publication Store orders. This discount will be automatically applied only after logging on with your username and password. Refunds for member discount errors will not be issued, but account credits can be arranged upon request. AAMA members are prohibited from transferring their username and password to others for the purpose of receiving discounted publications. For all orders requiring shipment of any product(s), a single $4.00 handling fee will be assessed per order. 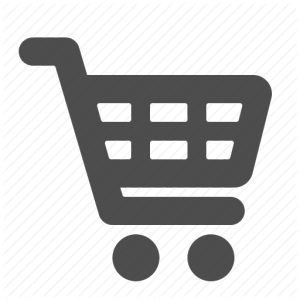 For purchases of electronic materials only, a single $2.00 processing fee will be assessed per order. AAMA will not re-ship at its own expense any products lost or damaged during shipping. Be advised that First Class and Priority mail cannot be tracked. We offer UPS and United States Postal Service (USPS) as shipping options. AAMA will accept a UPS number in lieu of a shipping charge. FedEx shipments will only be processed if a FedEx account number is provided. All paper orders of one or more Volumes are sent only via UPS Ground unless a UPS or FedEx account number is provided. Only First Class and Priority mail services are available when choosing USPS. International Shipping: International orders requiring shipment are held until the shipping charge has been quoted by AAMA to the customer and payment has been remitted. Unless otherwise requested, all publication files specified as “CD” will be placed on a single disc. All paper and CD orders, including those for individual Volumes and complete Volume Sets, are processed and shipped within two business days from the date the order is received. Older versions of AAMA publications may still be available for sale. Please contact customerservice@aamanet.org for further information regarding availability and pricing.